You are a good food. I appreciate you in certain recipes, but please.... please stay out of my cookies. I grew up on Snickerdoodles as many of us did. My mother always put raisins in her Snickerdoodles and this drove me NUTS. I'm not sure what my issue is with raisins in cookies. In my opinon, unless you're an oatmeal raisin cookie, you just don't belong there. I found this recipe on Pinterest recently. I really didn't think there was a whole lot that could be improved upon the basic (and slightly underwhelming) Snickerdoodle cookie. (Besides leaving out the raisins.) 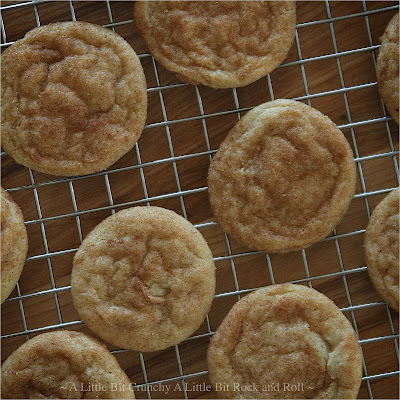 But after trying this recipe I know exactly why Lovin' From the Oven called these "An even better Snickerdoodle!" The story goes that this recipe came from Mrs. Fields. Knowing how unbelievably delicious they are, I honestly wouldn't be surprised. 1. In a small bowl stir together the flour, salt, baking soda, and cream of tartar with a whisk. 2. In a mixer, cream the butter, 1/2 cup granulated sugar, and brown sugar together until light and fluffy. Add the egg and vanilla and continue mixing until incorporated. 3. On low speed, mix in the dry ingredients just until combined. Chill the dough for 1 hour. 4. When ready, preheat your oven to 300 degrees F.
5. Combine the cinnamon sugar ingredients in a small bowl. 6. Roll the dough into small balls and then roll in the cinnamon sugar mixture. 7. Bake on a parchment lined sheet pan for 10-12 minutes. The cookies will look underdone, but leave them on the sheet pan to continue cooking while they cool on top of a cooling rack. I have never had them with raisins. I would never think of having them with raisins. 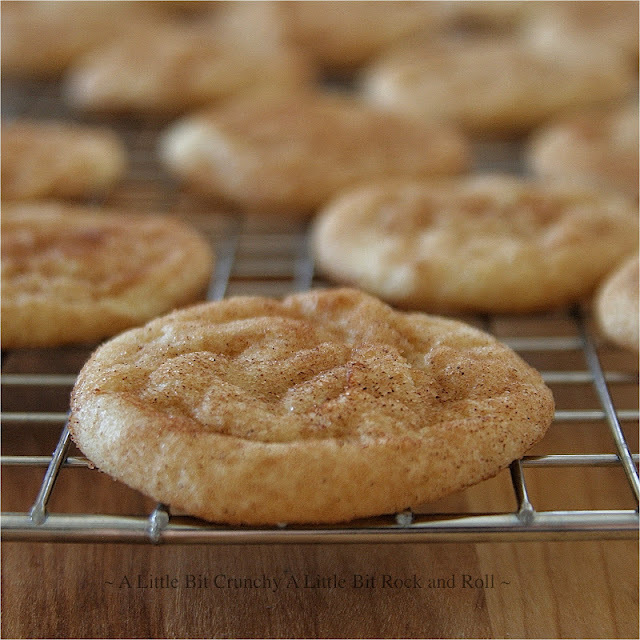 Here is why I LOVE snickerdoodle cookies: cinnamon. I love cinnamon. A little snippet give chili and extra zing. My kids and I prefer sprinkling homemade cinnamon sugar on our pancakes and waffles and I make sure the mix is darker than the store-bought varieties. I add cinnamon and cardamon to plain greek yogurt as a snack to add some flavor. Love it! 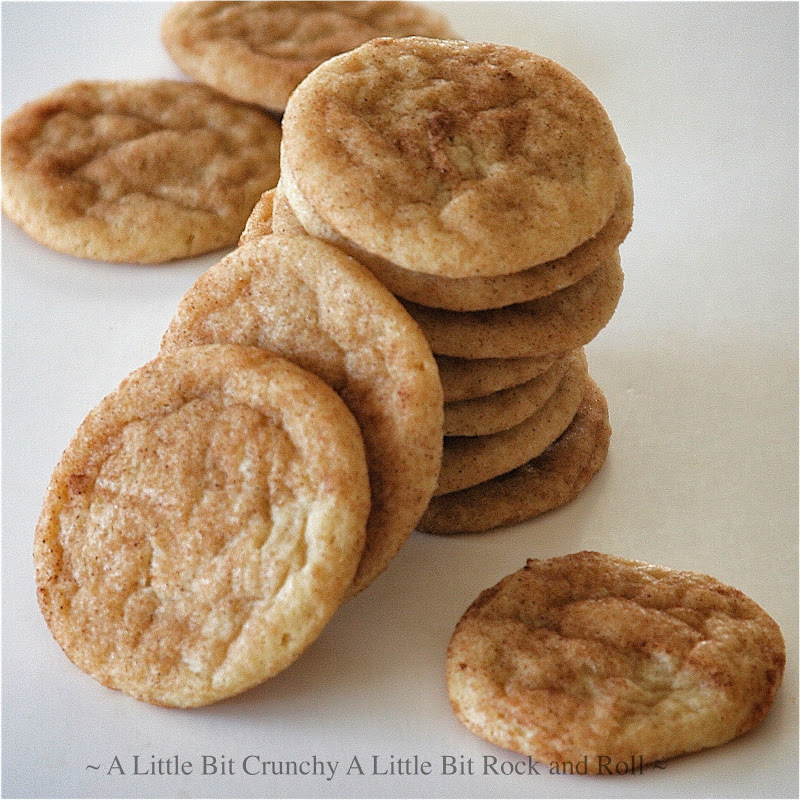 I've made this recipe several times and they truly are the.best.snickerdoodle.ever. Seriously. They will melt your face. I think I need some more face melting today. I will double the recipe if it will melt my hips. I agree. Why mess with cookies by adding raisins? Gack! These are beautiful! These look like the perfect cookie! And I agree... raisins are not my favorite in cookies. Posted a link on my blog to this and am browsing your other recipes, thanks so much for sharing, and loving these Snickerdoodles! OH YEAH! That's what I'm talking about! These look amazing. I love Mrs Fields, and the Cinnamon Sugar Cookie (as they're called in Australia) is my absolute favourite. I know exactly what you mean about raisins in cookies. I used to get bitterly disappointed when I bit into a cookie with dark bits that turned out to be raisins. Dark spots in cookies should only be chocolate chips, unless, as you say, we're talking about an oatmeal and raisin cookie. baking at 300 for 10-12 mins. left them very doughy.